I had my last class of the week this afternoon and it's one of the required Jewish courses necessary for me to get my Masters. This is the only class taught in English, so of course it was really crowded, and the topic is Mideval Jewish Philosophy. We're going to be examining texts by Islamic, Greek and Jewish philosophers including Aristotle, Maimonidies, Rav Saadia Gaon and others. When Professor Harvey mentioned some of the topics we will be tackling, I perked up! Particularly, I was really interested in the fact that we will be tackling the dilemma between Free Will vs. Preordination. I've been asking that question of Rabbis and teachers throughout my Yeshiva education and have yet to get an answer that is satisfactory. It will be really interested to see if during this course, I'll find an answer that I'm comfortable with. After class, Tamara drove me to Ra'anana so I could go food shopping at a place called Meatland. It was like being back home, I was really excited to see the rows upon rows of American products. I stocked up! I got 3 packages of frozen pie shells, three Ungar frozen gefilta fishes, cans of whole-berry cranberry sauce, solid white tuna in water, creamed corn and Hunt's tomato sauce. I also stocked up on bags of terra chips, tortilla chips, craisins and jars of honey and salsa. 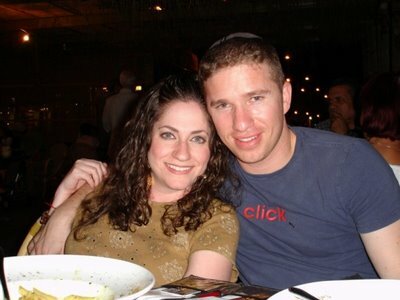 With 9 people expected by me this Friday night for Shabbat dinner, I have a whole lot of cooking that needs to be done. I think my brownies came out alright but I might have burnt my gefilta fish. With my convection oven working on celcius as opposed to fahrenheit, I think I left it in too long at a high temperature. I'm not sure if this is going to be another zucchini bread fiasco (only family members and close friends will understand this comment) but I'm going to mull it over and decide what else I can do as an appetizer on Friday night. The Camel I call Marlboro. 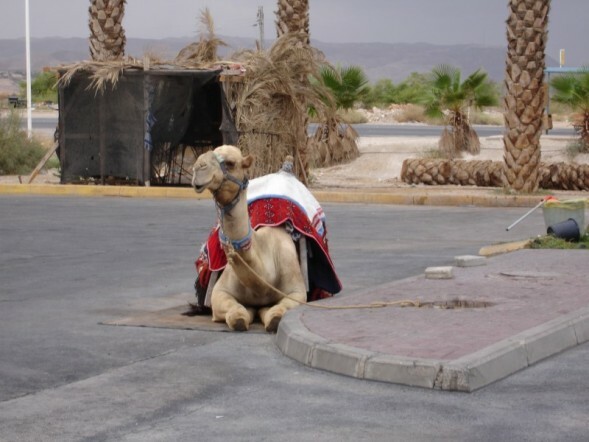 I'll admit it, I thought he was fake when we first pulled into the last rest station before we hit the Dead Sea. Hannah and Liora got a good laugh out of that one. This, folks, is Fayaad. Now you understand what all the big hoopla was about. 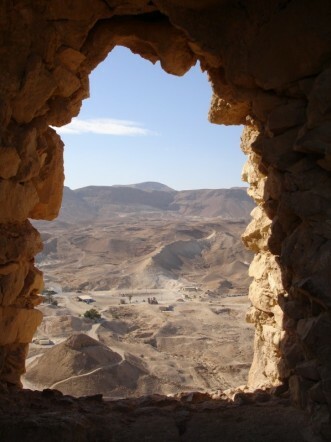 View of the desert from a "window" at Masada. Hannah took some pretty amazing shots, this was definitely one of them! Hannah, Liora and I did a walking tour of the walls of the Old City of Jerusalem. 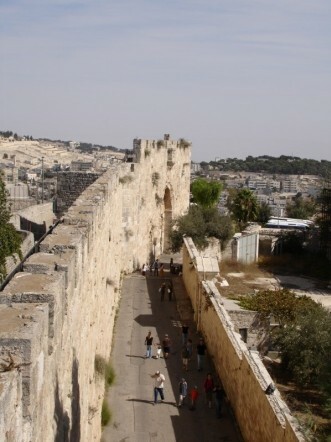 We started off at the Jaffa Gate and went around, through the Armenian Quarter and the Jewish Quarter, before getting off at the Kotel. This is the view below when we were in the Armenian Quarter. Song of the day is Only God Knows Why by Kid Rock, cause Mr. Pamela Anderson Lee Rock actually, well, rocks.